Are You Busy Making Buggy Whips? You are here: Home / The Compleat Carosa Commentaries / Are You Busy Making Buggy Whips? Perhaps you wake up every day and head to work, content with the thought you’re doing your part to keep the wheels of America’s industry humming along. Or maybe you’re retired, but you know someone dear to you who trots merrily each morning in the pleasant bliss of gainful employment. If only for a brief fleeting moment, consider the opposite. Call this a modern buggy whip tale. You remember buggy whips, right? If you don’t, well, that’s part of the story. Buggy whips are those short sticks with loose leather strings on the end. They were used to prod horses to make your buggy go faster. They were all the rage at the end of the nineteenth century. Heck, they were still quite popular well into the twentieth century. Then Henry Ford discovered a way to mass produce cars. More importantly, he figured out a way to convince freedom loving Americans all across the land they could now afford to buy those cars to roam the wide open countryside (and cityside) of our great nation. And they did. If you’re a tad older than me, you’re part of a generation that helped employ many people in steady jobs producing vinyl records. With the onset of Rock and Roll, the first wave of baby boomers fueled the post-WWII growth in record sales – primarily singles (a.k.a. “45s”). Then, in 1967, The Beatles came out with Sgt. Pepper’s Lonely Hearts Club Band and the concept album was born. The sale of vinyl records skyrocketed. It seemed like the music of the new generation was here to stay and that life in the vinyl record industry would be just fine (thank you very much). In retrospect, at least they were half right. The music, amazingly enough, was here to stay. The Beatles are just as popular with today’s young audience as they were with young audiences of a half century ago (yes, it’s been that long). But, while they got the message right, it was in their estimates of the sustainability of the media where they were wrong. In what might surprise many, vinyl record sales peaked sometime in the late 1970s (depending on how you measure things). In terms of a classic fad, 8-track tapes take the cake. Although they helped eat into vinyl sales, cassette tapes took a bigger bite. But it was the CD that proved the death knell for vinyl. 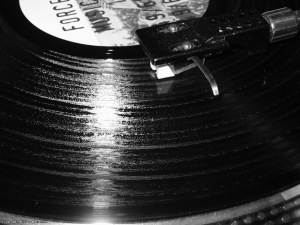 By the 1990s, vinyl was dead, pushed off to the ash bin of history along with the Soviet Union. CDs were the king of the music industry. Long live the king. What’s that you say? You say you haven’t bought a CD in years? The CD industry suffered from two failures. The first was the same one Henry Ford initially missed – planned obsolescence. Think about it. The main selling point of the CD vs. vinyl is the CD lasts forever. You don’t need to replace it. Oops. That meant once you bought one, you didn’t have to buy it again. The same couldn’t be said for vinyl records. They broke. They got scratched. And Heaven help us if we ever left them next to a window in the car on a hot summer day. But the second failure of CDs was even worse. By the late 1990s, MP3 files had become a popular medium for music. And in 1999, the file sharing service Napster all but destroyed the music business. Unfortunately for Napster, there’s this thing called copyright law. Although the music industry successfully sued Napster, it was too late. The genie had gotten out of the bottle. Ever the sly businessman, Steve Jobs saw an opportunity and purchased SoundJam MP. By the time Apple officially released the product to the Napster-less (but music file sharing hungry) world in January 2001, it was renamed “iTunes.” Although originally only available for the less than popular Mac, Jobs scored a homerun (and saved his dying company) by releasing the first iPod eight months later. By 2006, single download sales had surpassed CD sales. The rest, as they say, is history. Just as Apple thought it had cornered the market on the music industry, along came music streaming services like Pandora and Spotify. Pandora, which started in 2000 but finally got things ironed out by 2009, and Spotify, which was launched in 2008, provided a cheaper (did somebody say “free”) alternative to iTunes. At first no one noticed these relative newcomers. After all, at that time, the world was enthralled with the new iPhone (first unveiled in January 2007) and Jobs became the untouchable saint of technology. In 2013, however, a strange unexpected event happened – iTunes sales dropped. Just a little (about 2%) at first, but by double digits the following year. Today, even Apple has thrown in the towel. Its Apple Music streaming service is meant to counter Pandora and Spotify. Will it work? Who knows, but one thing we do know, it will make iTunes the buggy whips of the early twenty-first century. So, if you’re in business either as an owner or a worker, here’s the most important question you will ask yourself today: Are you busy making buggy whips?